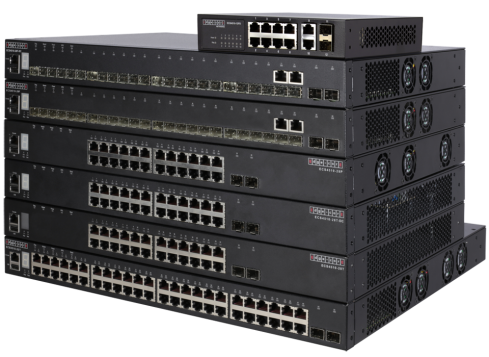 With the trend of high speed Ethernet, 10/40/100Gbps, Edgecore switches offer a complete set of advanced software features that will easily satisfy the demands of enterprises and SMBs everywhere. With cost effective, high performance security switching, users are able to discover the benefits of a high-port density, reliable and superior performance enterprise network. Edgecore providing high quality, advanced feat ures but cost effective Access/Aggregation solution for ISP, MSO worldwide, helping service provider building up Fiber to the Building (FTTB), Fiber to the Home (FTTH) infrastructure for Broadband Access services.